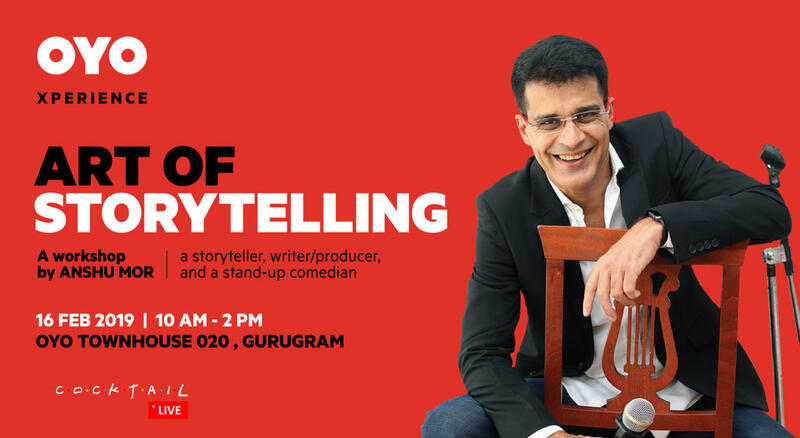 Anshu Mor, a Storyteller, a Stand-up comedian, a Corporate trainer as well as a Writer & Producer. Anshu left his glorious corporate career to follow his passion - entertainment, stage, and mic! He is one of the fastest growing comedians in India and has a huge fan base. Through this workshop, Anshu shares how storytelling can effectively communicate the desired message to the audience. This workshop includes the basics of storytelling, workshopping concepts & working on real-life biz communication. Anshu Mor, widely known as a master storyteller, gave up corporate life at the age of 44, to pursue his passion of becoming a standup comedian. Having performed over 250 shows in his first two years, both in India and abroad, he was recently recognised as the rising star of standup comedy in India by the TIMES group. In this short period, he has already performed for some of the biggest global brands.